Hi everyone! 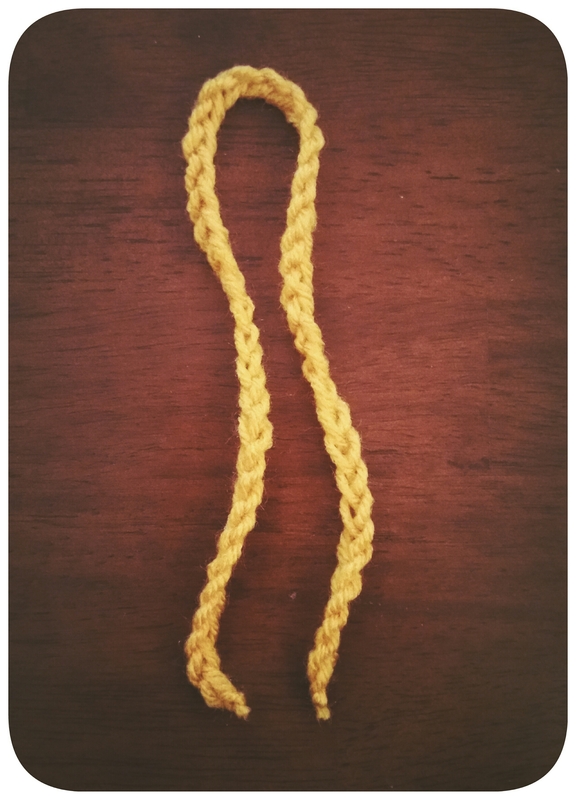 I thought I’d share a simple little crochet pattern I made up- it’s really easy to get the hang of, and works up really quickly! All you need to know how to do is chain. 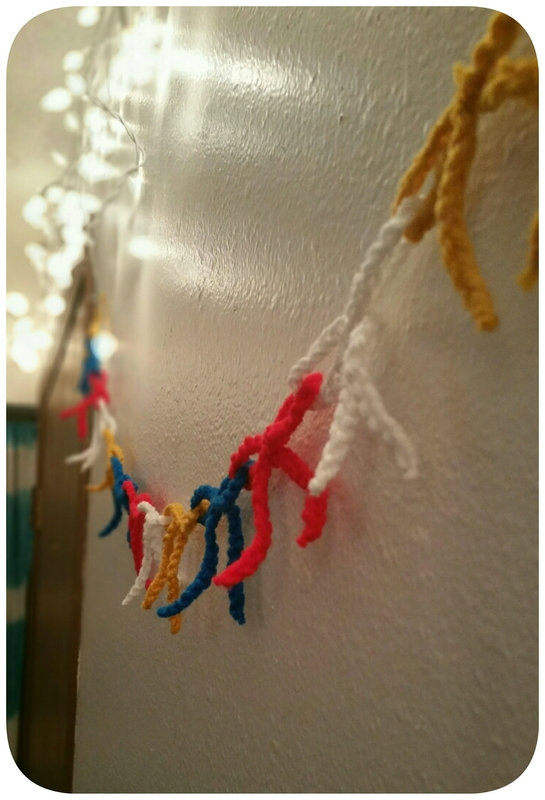 It’s perfect for using up little bits of left over yarn, too! Chain 45 stitches. 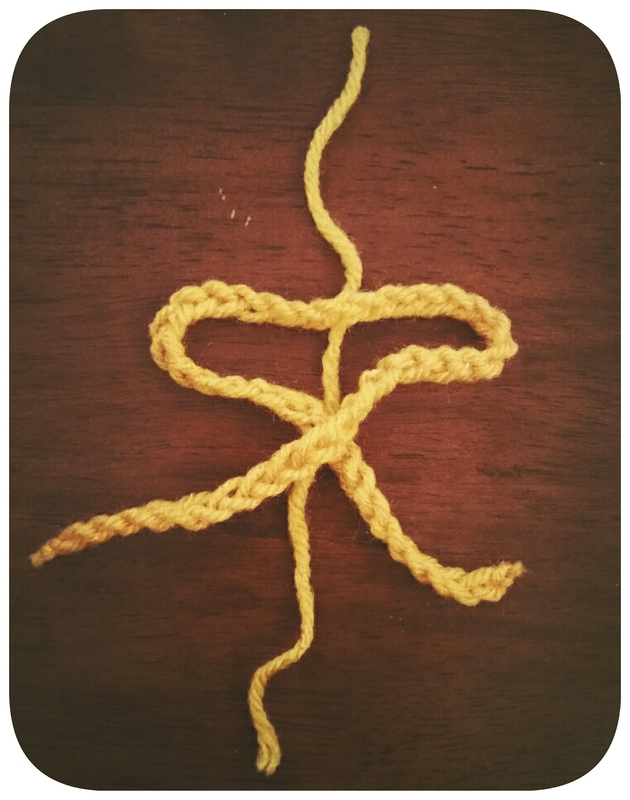 Cut yarn, and pull yarn through last stitch, tying a knot. 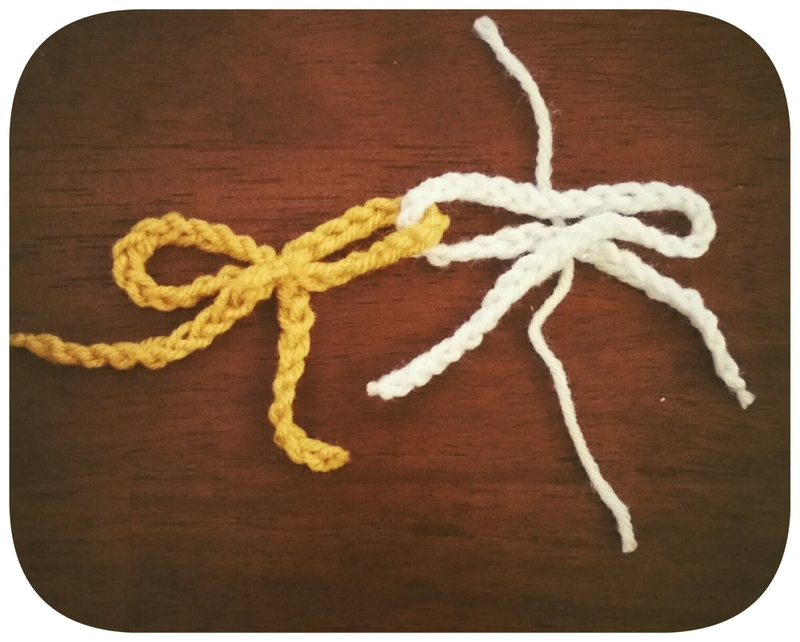 Snip off excess yarn from both sides, after pulling tightly to ensure both ends of the chain are knotted tightly. 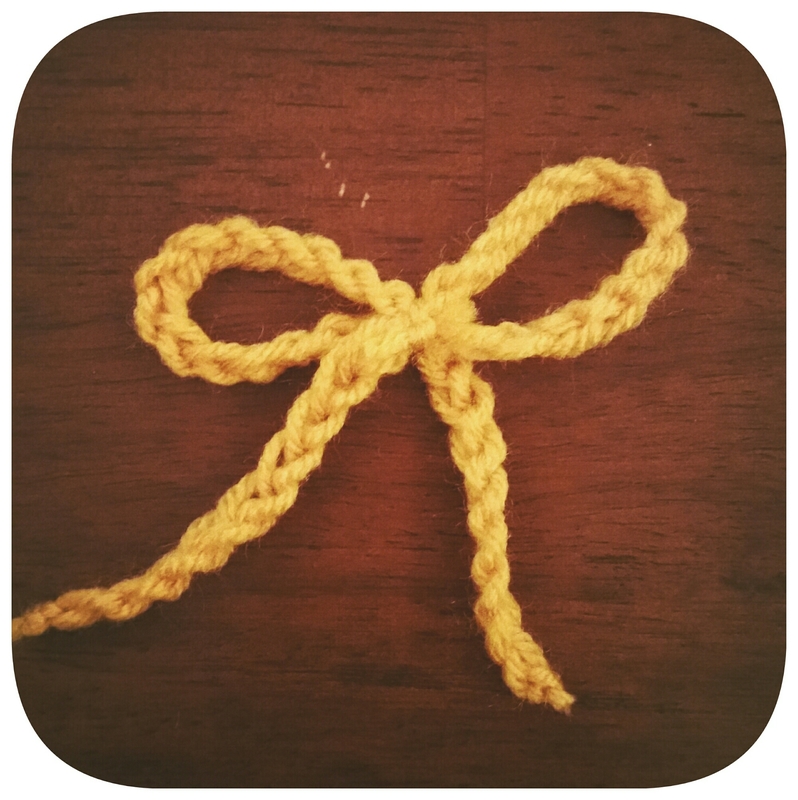 First bow: Take 45 stitch chain, and double it on itself. Then, cross the right “leg” of the bow over the left. Next, cut yourself a short bit of the same color yarn you used for the chain (I use the scrap left over when I trim either side of the chain) and slip it underneath your little loop guy. 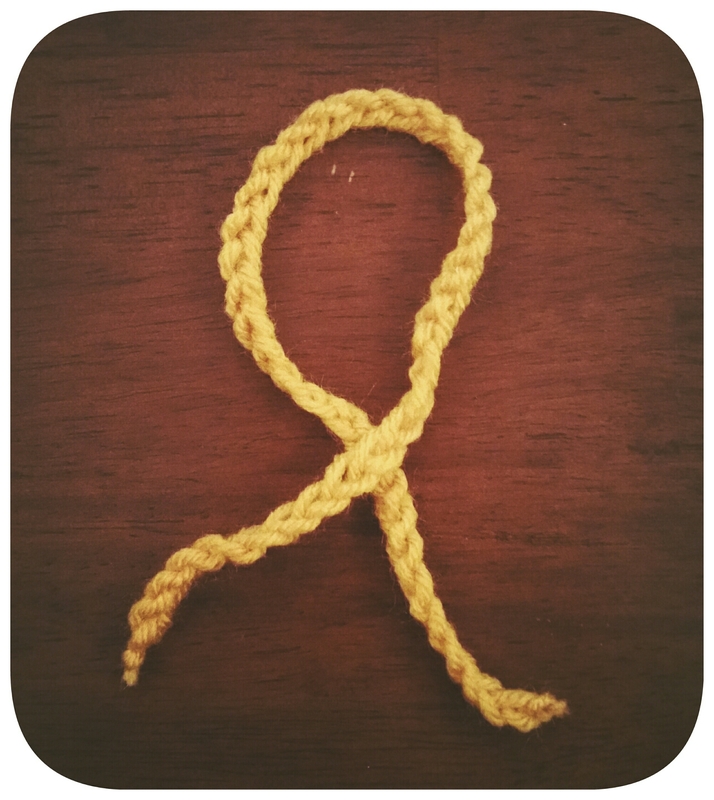 Then just tie your yarn in the front, completing the bow! I double knot mine, because I always worry that stuff will come untied after I cut the remainder off. Everything is exactly the same- chain 45, nip extra yarn. The only thing you do differently is thread the chain through the right loop of the last bow you made before you tie it. 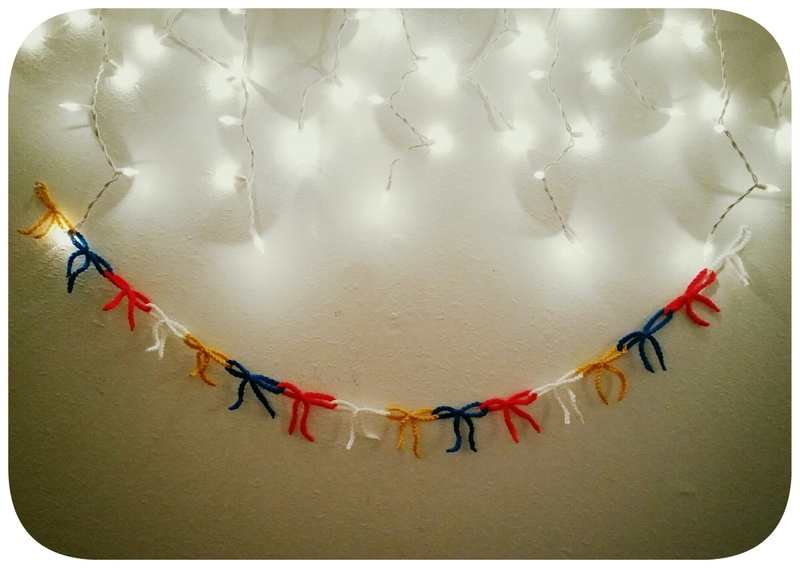 Continue this until your garland is the desired length you want! It adds a nice splash of color and a touch of whimsy, no? Leave me a comment and let me know what you think! Include pictures of your project, too- I’d love to see how it turned out! Next Post (Free) Weekend Project: Bow ties are Cool.